With geometric patterns being so popular i wanted to have a play with two sets from Winnie and Walter. I started by die cutting my stitched border panel and coloured with distress ink. Then flicked some water and dabbed off a few times and then added some white ink the same way and finally spritzed with some glimmer mist. The result is very sparkly. 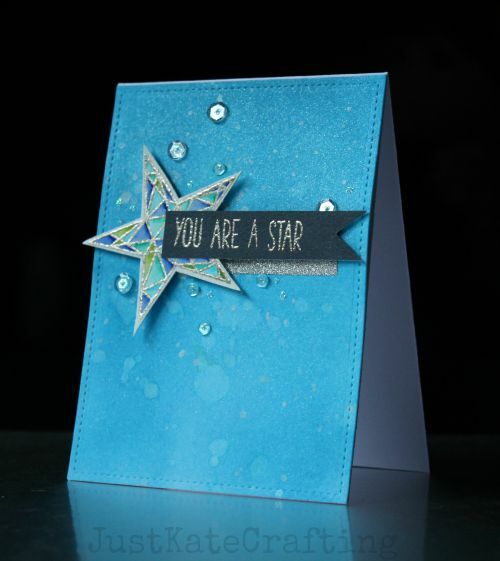 I heat embossed the star on some water colour card and coloured various blues and greens. After fussy cut it out I placed it onto the card panel with foam tape. 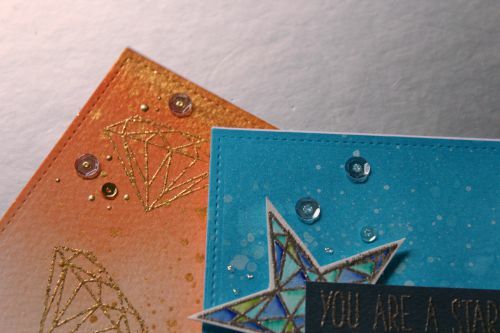 The sentiment is also heat embossed and i added some sparkly washi tape under just for an extra pop. To finish i added some clear sequins and diamond stickles. For my second card i had this panel cut and coloured then wasn't sure what to do with it so it has sat unloved for a while on my table. Its coloured with distress ink and perfect pearls in gold. 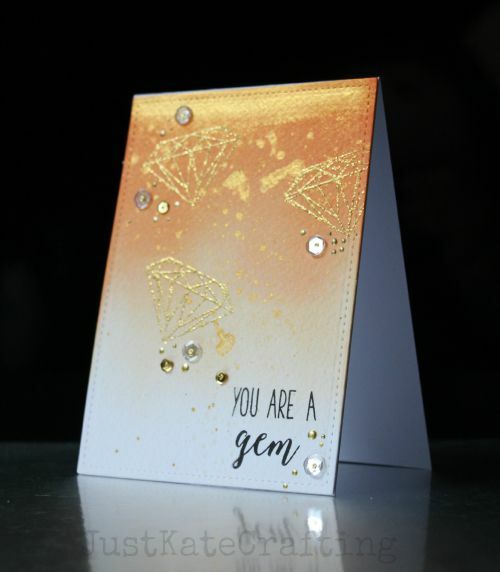 While making my first card i had the ideas to add the gold heat embossed gems to this panel..
Its quite simple but the colours are beautiful together. Its finished with some sequins and gold liquid pearls. Click the images below to go straight to the products. And if you want to get geometric we also have these sets.